Yes, of course I saw the UNESCO World Heritage Sites around Nara. But I also wanted to see the kofun, the prehistoric megalithic tombs covered by earth mounds. 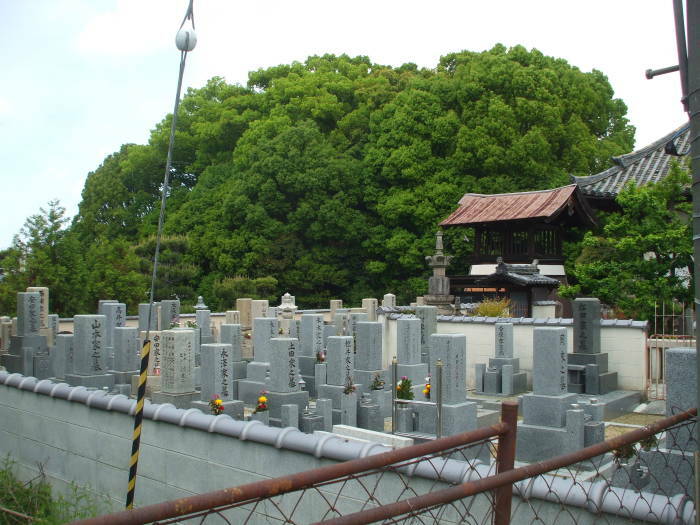 Some of the kofun are Imperial tombs containing Emperors, the descendents of the gods, along with their families. Or so the official story goes. 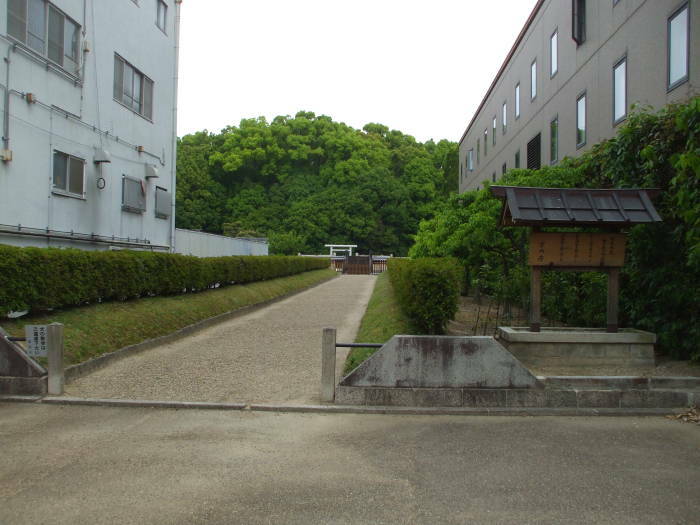 I told my host at the Hiloki Hostel that I was interested in seeing the kofun. His reaction was typical, warning me that there isn't much to see and no one seems to know anything about them. Well, the first of those did not discourage me at all, and the second definitely encouraged me. Just imagine — prehistoric structures with a megalithic passage tomb at their core, covered with an earthen tumulus that in some cases was larger than the Great Pyramid of Giza. And, there's a stunning level of willing suspension of disbelief, as the Imperial house allows no scientific examination of anything that even might be an Imperial tomb. The Kofun of Emperor Kaika is right in the middle of Nara, between Omiya-dori and Sanjo-dori, two major east-west streets. It's only about a block from the Kintetsu Nara train and bus station, and about two blocks due east of the Hiloki Hostel. The Nenbutsu-ji Buddhist temple has long stood along the east side of the mound. Several centuries ago the monks removed some soil to level some of the southeastern area of the mound, so they could use that area as a cemetery. That was during the general period of the Shōgunate, the time from 1185 to 1868 when the top warlord, the Shōgun, really controlled Japan. The Emperor was just a figurehead in Kyōto. The Emperor practiced Shintō, and the Shōgun practiced Buddhism. 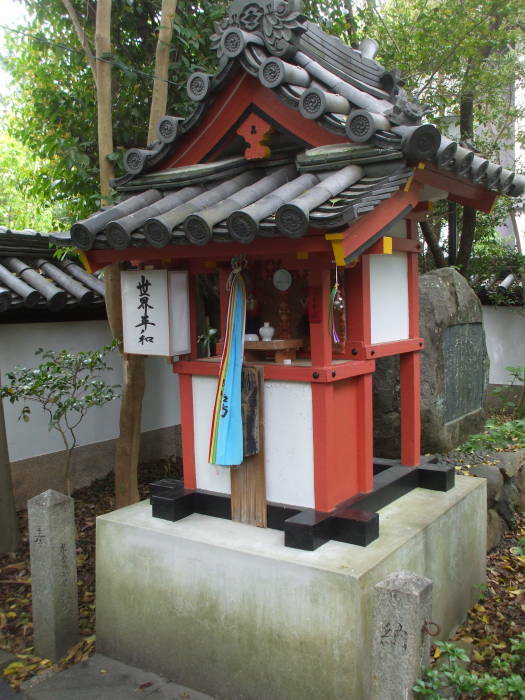 So of course a Buddhist temple could repurpose a Shintō kofun enshrining the kami, the deified spirit of an Emperor. In the early to mid 1800s, the Shōgunate was losing power. Before long, Matthew Perry would show up with his "Black Ships" in the harbor at Edo, soon to be Tōkyō. 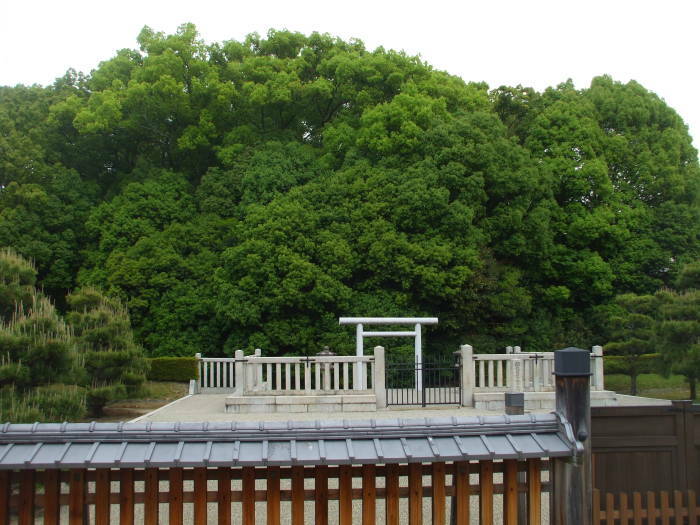 The temple relocated the cemetery and restored the mound toward the end of the Tokugawa Shōgunate. That was a good move, as the Meiji Restoration happened in 1868. The Shōgunate was over, and the Emperor was back in power. The Imperial cult was back, the divine descent of the Emperors was again a Big Deal. Researchers in recent years have found some small terracotta haniwa along this kofun's western boundary with the temple. These are figures buried with the dead during the Kofun period from about 250 to 538 CE. They represented the aristocratic military figures of the day, along with livestock, weapons, houses, and household items. The haniwa were large enough to form part of a boundary or retaining wall for a burial mound. 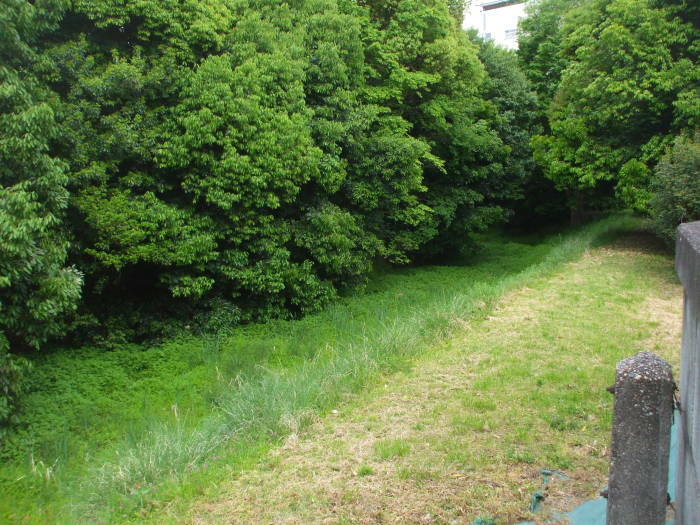 Based on that discovery, historians assume that the kofun was built in the first half of the 5th century. The Kofun of Emperor Kaika is obvious on maps. What's not obvious is how to access it, as it's in the center of a block in the middle of the city. I started down Yasuragi-no-michi, the next street east of the kofun. The first small passageway I found took me to Kango Shrine. 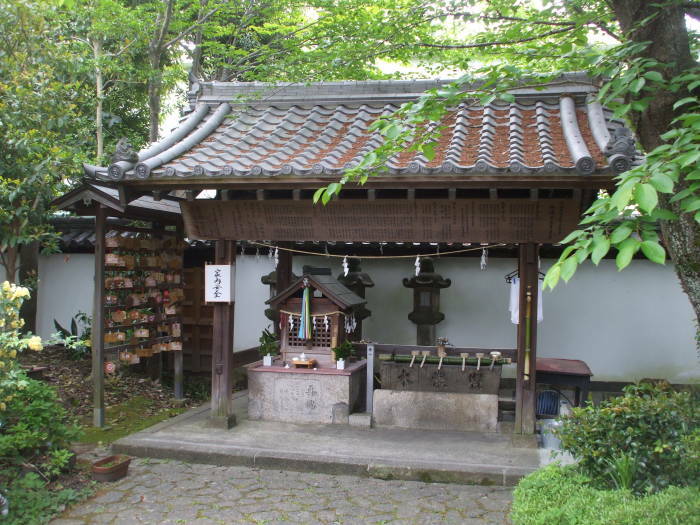 That seems to be the primary shrine of a cluster of Shintō shrines. 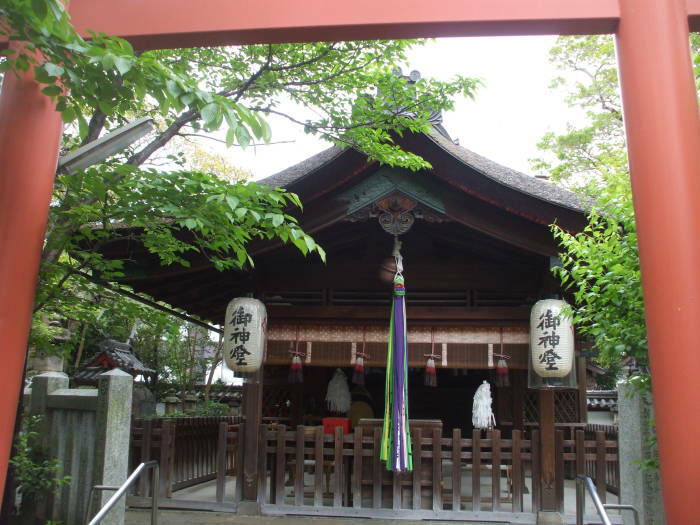 If you find the area on Google Maps and zoom in, you also see Rin Shrine, Aoi Shrine, Hachi-o-jisha Shrine, and Genkuroinari Shrine within that complex. A priest was preparing for a ceremony when I arrived. 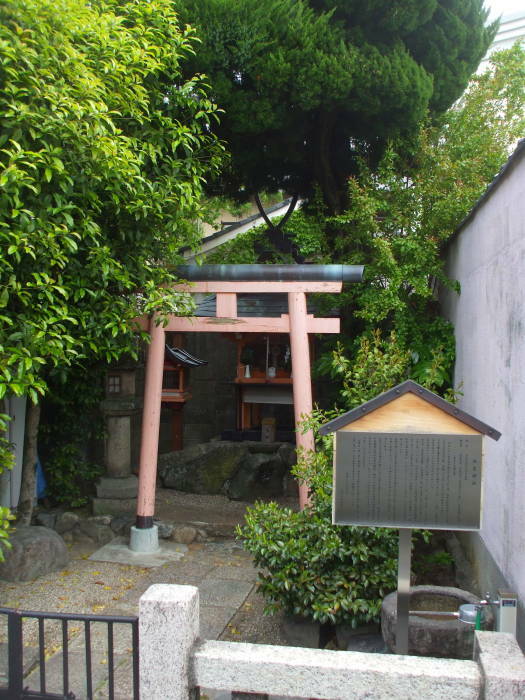 South of Kango Shrine, north of Sanjo-dori, I found an alley leading to a corner of the Nenbutsu-ji cemetery. 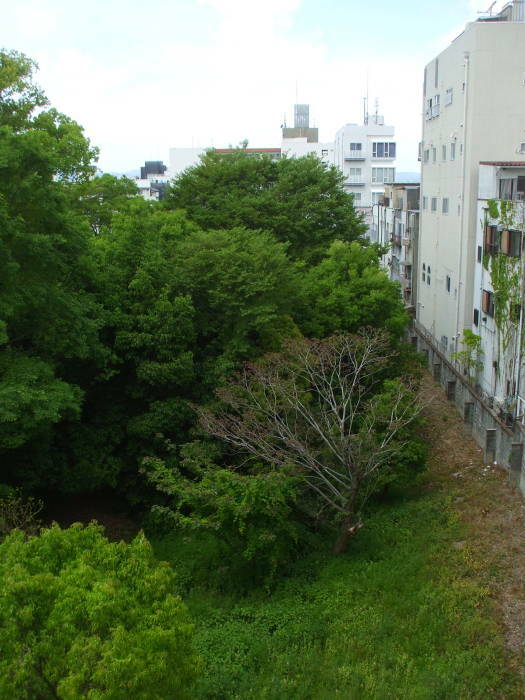 In the first picture below I'm looking over that cemetery to the southern end of the kofun. I was getting closer. The public access is from the south, from Sanjo-dori. 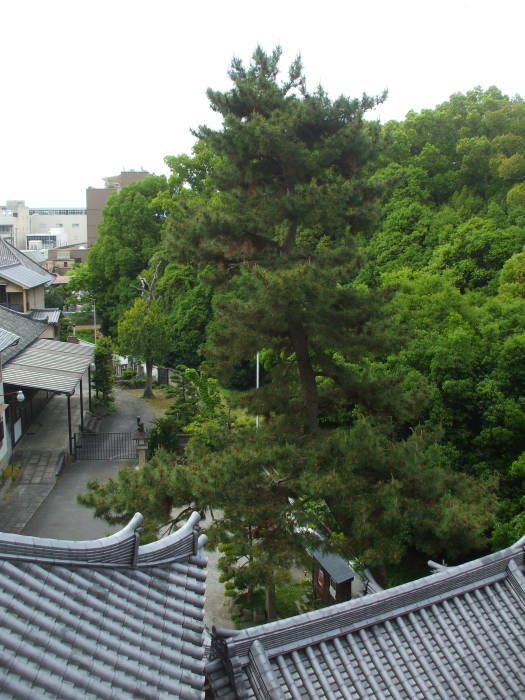 The first picture below shows the view north from Sanjo-dori to the place you would visit for worship or veneration. 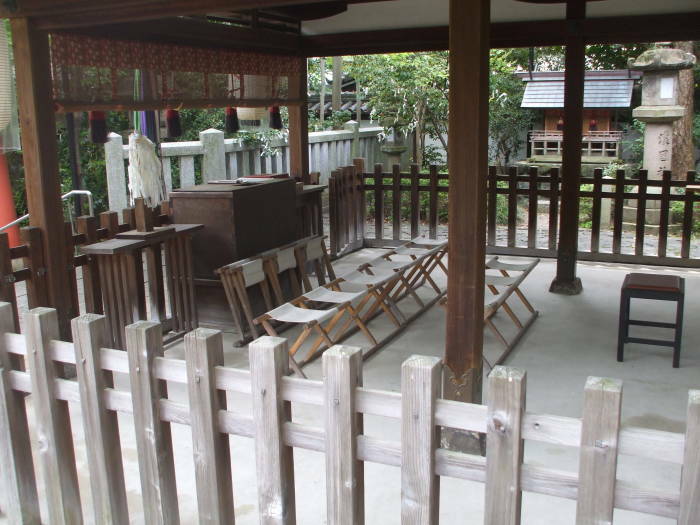 A fence and closed gate keeps you from approaching the main area for worship and veneration. There, another layer of fence would keep you away. 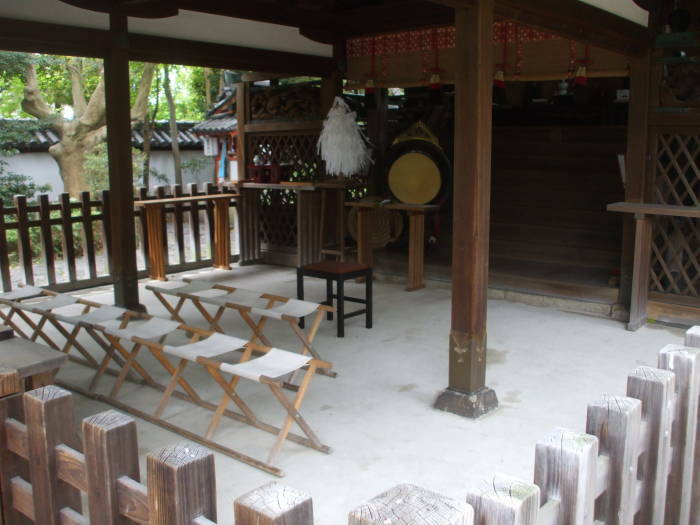 Then the white torii is on the forward edge of that platform. There is a drop from there into the moat, which is dry. I went back south to Sanjo-dori and continued around clockwise, taking the small street leading north along the west side of the kofun. An alley there led back to the small Sumiyoshi Shrine. I finally found my way in! Omiya-dori is the major street along the north side of this block. A narrow passage, just large enough to pass another pedestrian, leads south from Omiya-dori from close to the Oil Slope restaurant and bar. 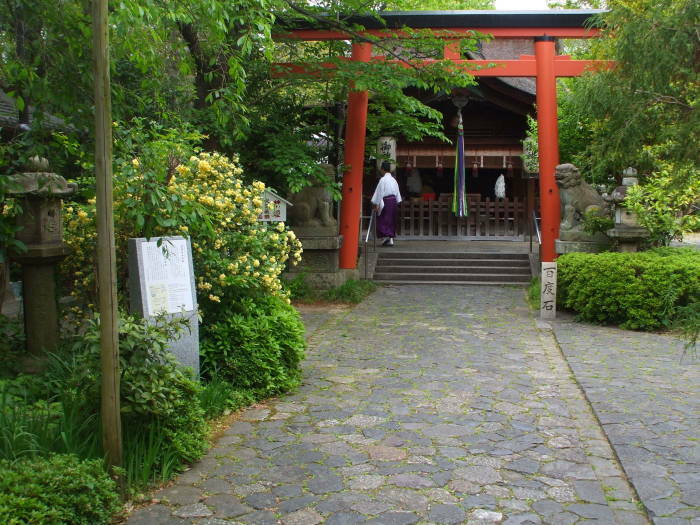 That leads back to the Nenbutsu-ji Buddhist temple. 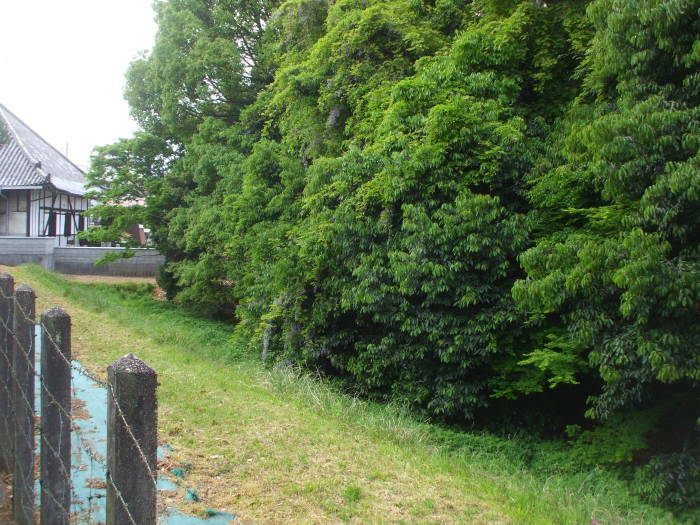 In the first picture below, I'm looking over the fence from the temple to the dry moat around the kofun, looking south. In the last picture above, I'm in the same spot looking north. 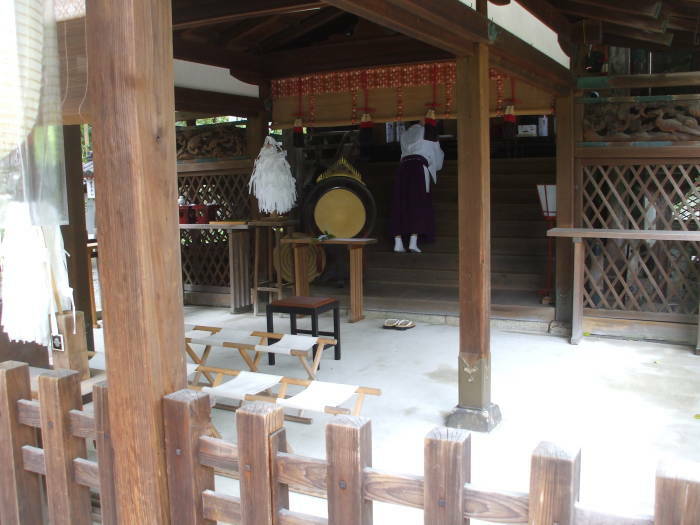 Below, I have moved further to the south so I see several Jizō figures with red bibs. I'm looking down into the dry moat where it goes around the circular mound from about 3 o'clock to 1 o'clock. An apartment building facing Omiya-dori has an open staircase up its back side. I went up that staircase for views south and west from the northeast corner of the kofun. 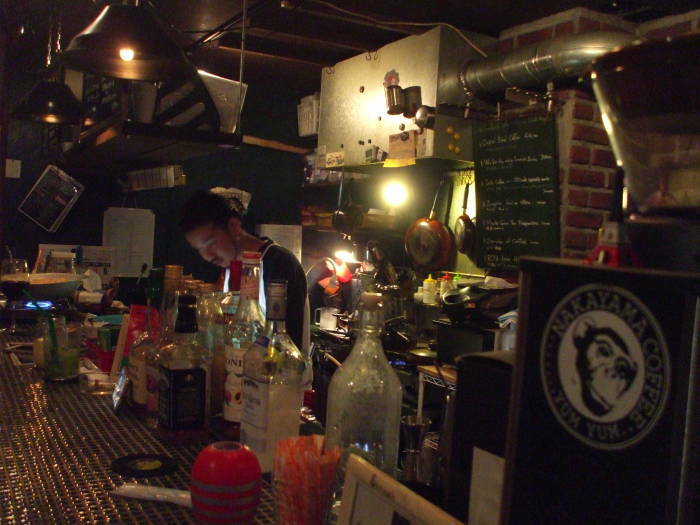 The Oil Slope restaurant and bar is on Omiya-dori, with its back windows dropping down into the dry moat around the north end of the kofun. It and the nearby Rock Star restaurant/bar seem to be under common ownership. 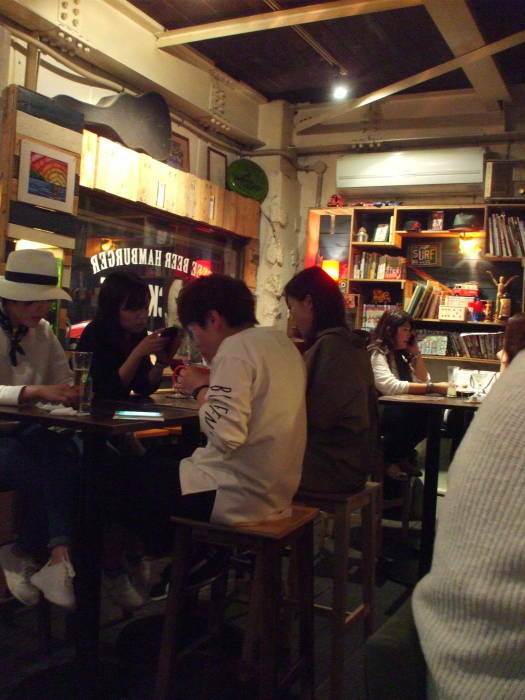 Both are nice places to get dinner and hang out. I was still struggling to learn to pronounce katakana. This was where it first became useful, when I figured out that アボカド バガ or a-bo-ka-do ba-ga was the avacado burger. The next kofun I visited was the Uwanabe Kofun. 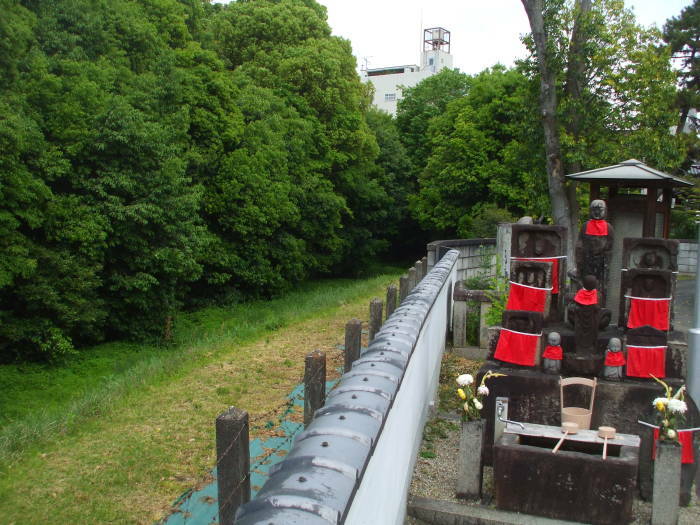 Jump to there, or keep reading for the background on the alleged resident of this kofun. Here and onward through the following pages, I will simply report the traditional years of birth, rule, and death, noting when there is wide agreement as to whether the person actually existed or not. I won't bother with every "supposedly" and "it is believed" and "the Imperial House claims" and so on. Emperor Kaika was the 9th Emperor of Japan, reigning from 157 to 98 BCE. He is recorded as being born in 208 BCE, so he lived 110 years. His four consorts were the Empress Ikagashikome, Taniwa no Takanohime, and the sisters Hahatsuhime and Washihime. Or so the story goes. Historians question the existence of at least the first nine emperors, and the first 15 monarchs (14 Emperors plus an Empress) are listed, even by traditionalists, as "Legendary Rulers". Historians can't find any proof that the early ones existed. They haven't found any evidence that they didn't exist, but there isn't any evidence that they did. Kaika has the unfortunate distinction of being the last Emperor that historians are pretty certain didn't exist as currently described. His son Emperor Sujin is the first Japanese ruler for whom some historians agree that he might have existed. It isn't until Emperor Kinmei, the 29th Emperor who ruled 539–571, that historians can find verifiable dating references. And Kinmei wouldn't have been titled tennō or "Emperor". That title wasn't used until Emperor Tenmu, the 40th ruler, who ruled 631–686. The early Emperors weren't listed in written material until the Kojiki (or Records of Ancient Matters) and Nihon Shoki (or Chronicles of Japan) appeared in 711–712 and 720 CE. Their names and dates weren't officially accepted as "traditional" until the reign of Emperor Kanmu, the 50th, in 781–806. The Kojiki and Nihon Shoki only list Kaika's name and genealogy, and so he's pretty much just a place-holder. The first Emperor, Jimmu, has far more backstory. It's mythical, but at least there's a story. Japanese mythology says that Jimmu, the first Emperor, was descended from Amaterasu, the goddess of the sun and the universe in general, and Susano-o, the god of storms and the sea. Amaterasu seems to be the local expression of an Asiatic sun goddess, similar to the Korean Hae-num and the Chinese Xihe. The universe came about like this: Everything was chaos, then some sound and light and particles, then Heaven and the Earth appeared. When Takamagahara, the High Plain of Heaven, had formed, the first three gods appeared: Amenominakanushi, Taka-mi-musuhi-no-kami, and Kami-musuhi-no-kami. Then two more emerged from a reed: Umashi-ashi-kabi-hikoji-no-kami and Ame-no-toko-tachi-no-kami. These first five deities, the Kotoamatsukami, appeared out of nowhere, had no definite gender, and immediately disappeared into hiding. Then there were the Kamiyonanayo, the Seven Divine Generations. The first two also emerged spontaneously, had no definite gender, and went into hiding as soon as they appeared. After that, there were five pairs of gods, each pair a male and a female. The first pair appeared spontaneously, then there were four generations of descent. The last of those was Izanagi and his younger sister, Izanami. They became husband and wife as the previous four generations had. Their children were Amaterasu, Susano-o, and their moon-god brother Tsukuyomi. Izanami (left) and Izanagi (right), in Tenkei o motte sōkai o saguru no zu, or Searching the Seas with the Tenkei, Kobayashi Eitaku, 1880-1890, now at the Museum of Fine Art in Boston. Then, some generations after that, Jimmu came along. He captured Yamato, in today's Nara Prefecture. Current history says that Yamato was the base of one of several regional powers. Around the 6th century CE, the Yamato chief gained national (or at least multi-regional) power and established the Imperial court. It seems that Jimmu is based on legends of the Ōtomo clan. The legend of Jimmu legitimized Ōtomo claims to power. When the Emperor regained power from the Shōgunate in 1868, Jimmu and his ancestry were key to rebuilding the Imperial cult, the deification of the Emperors. Imperial envoys took offerings every year to the supposed site of his tomb. 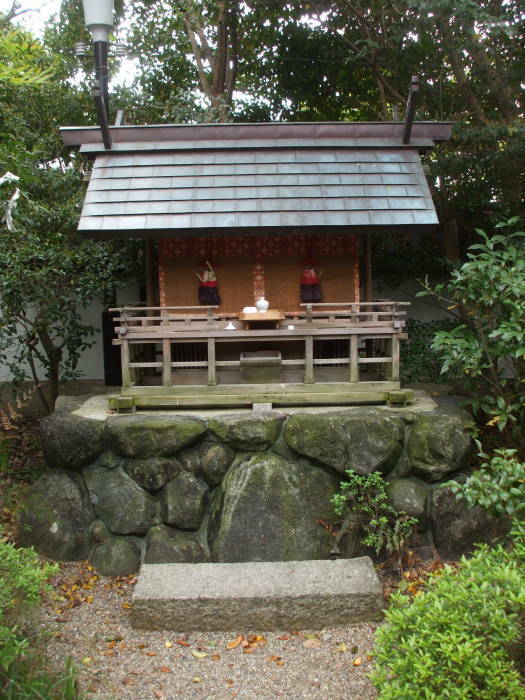 The Kashihara Shrine was built nearby, on the supposed spot where Jimmu ascended to the throne. A national holiday was established on February 11th, commemorating Jimmu's ascension to the throne in 660 BCE. That holiday as suspended soon after World War II, as it was part of what the Allies called "State Shintō". It was re-established in 1966 as National Foundation Day. Jien, a Japanese historian, poet, and Buddhist monk, wrote that Kaika was the second son of Emperor Kōgen, and that he ruled from the palace of Isakawa-no-miya at Kasuga. However, Jien lived many centuries later, from 1155 to 1225, so he was probably writing what he thought could, or perhaps should, be true. If not, he was refering to earlier fiction. The years of birth and reign of Kaika and the other eight may have been invented to push Jimmu's ascension to the throne back to a numerologically asupicious year. 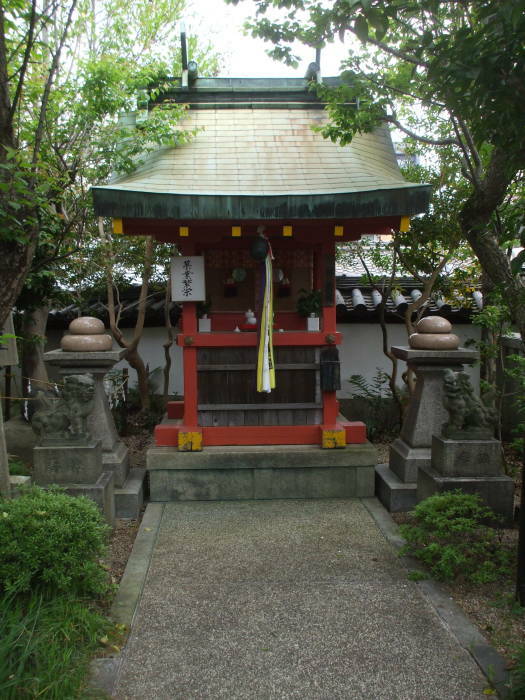 The Nihon Shoki refers to the 10th Emperor, Sujin, as the Hatsu-Kuni-Shirasu or First Nation-Ruling Emperor. The name Kaika is Chinese in origin with a Buddhist meaning. Buddhism only arrived in China in the 1st and 2nd centuries CE, at least two centuries after Kaika's supposed reign in Japan. The Chinese Book of Liang recorded in 635 that five Buddhist monks from Gandhāra had visited Japan in 467. 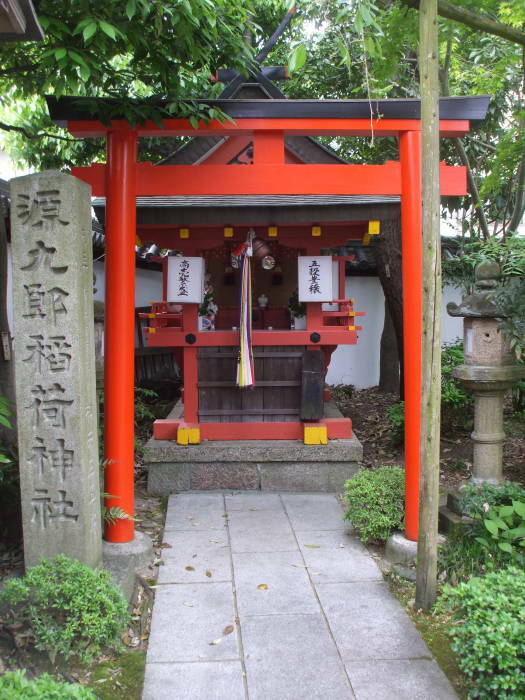 Buddhism officially arrived in Japan in 552, about 650 years after Kaika's death. So yes, Emperor Kaika is fictional. I suppose that's better than the next kofun, for which the Imperial Household Agency hasn't even decided on a fiction.